Why Hire a Lawyer Who Understand Both Business Law and UAV? You should choose an attorney who understands UAV. The regulation of Unmanned Aerial Vehicles or drones are complicated at both the federal and state level. UAS technology, including the navigation, electrical, transmission, mechanical and software systems are technical and highly specialized. There are very few court cases which interpret FAA and other laws and regulations of UAS, creating lots of uncertainty. You need an attorney who understands UAS technology, safety and compliance. Contact a drone attorney today. 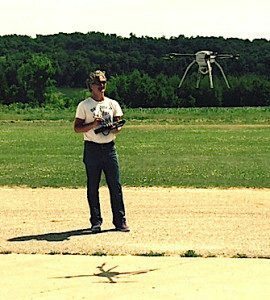 FAA regulations, compliance and certifications including the application of Aeronautical Information Manual (AIMS) the Federal Aviation Regulations (FAR) to UAS. Litigation against the FAA regarding rule making, interpretation and FAA jurisdiction. Preparing Section 333 Petitions and Certificates of Authorization (COA) to the FAA for permission to fly. Section 333 compliance and best practices. Litigation involving unlawful enforcement of state and municipal laws, which are preempted by Federal Law and FAA regulations.. Protecting your intellectual property rights as you develop UAS technology, invent new technologies and extend your brand. Trademark registration of your brand, product names, logos and slogans. Patent due diligence, registering your ideas as patents with the USPTO and ensuring your products don’t violate third party patents. Software and website copyright protection, trademark, patent and copyright licensing and IP due diligence. Company start-up, corporate documents and investment documents and contracts. Joint venture, co-marketing and and wholesale contract negotiation and drafting. You would not hire a lawyer who did not understand the technology to represent your technology, would you? Our technology and software and hardware development clients love us BECAUSE we understand technology and speak their language. Representing technology requires special skills. If your attorney does not understand the technology, that attorney wont be in the best position to protect your position and provide legal advice. While hiring the “best drone lawyer” is a worthy goal, hiring the “best drone lawyer” for your particular drone or UAS issue is even more important. Our law firm, Traverse Legal, has bee providing technology company representation since 1993 and been fully committed to representing clients in new technologies since 2005. We have represented over 10 thousand technology interests over the last 15 years and have become one of they best known law firms in the world the technology representation space. Our attorneys have been innovators in the use of technology to provide legal services to clients, and helped create the business model for flat fee, defined deliverable legal projects being used by many law firms today. Traverse Legal attorneys are ‘changing he way law is practiced’® and we can help you achieve your goals.